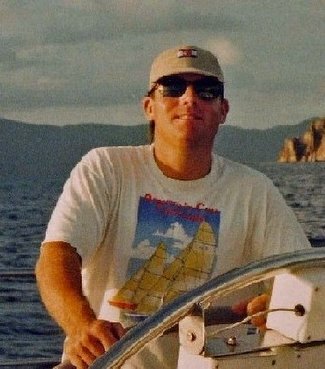 The Marblehead Reporter has an article on the passing of sailing legend Lee Van Gemert. One of the great things about writing this weblog is the near daily education I recieve. Until today, I hadn't been aware of the Gemert legend but, as the reporter details, he was indeed a sailing champion, part of the America’s Cup victory in 1964 and the author of an important technical book still used today, “Stability and Trim for the Ship’s Officer.” Aside from his accomplishments...what struck me about this piece was the tone of fondness and regard, the very real sense that this was a man who lived his passion and lived it well. We could all hope to be the subject of such a kind and well written posthumous reckoning. In 2005 my wife and I moved from Manchester by-the-Sea to Southern California. Prior to that I was Commodore of the Manchester Harbor Boat Club. I met Lee Van Gemert and invited him to speak at one of our winter meetings. Subject, of course, The America's Cup. One story Mr Gemert talked about was how the crew of Courageous would take the boat out when light snow was predicted. He so eloquently put it. "It was like sailing with visible air." Made it quite easy to trim for speed. Fond Memories of Lee Van Gemert.